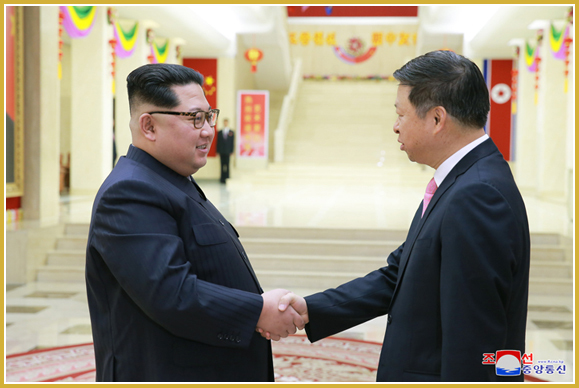 Kim Jong Un, Chairman of the Workers’ Party of Korea and Chairman of the DPRK State Affairs Commission, on April 14 met Song Tao, head of the International Liaison Department of the Central Committee of the Communist Party of China. 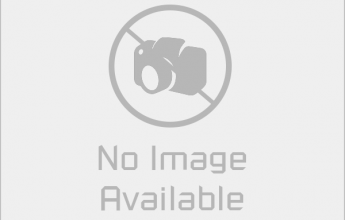 The Supreme Leader was very pleased to see Song Tao again and exchanged greetings with him. He warmly welcomed Song Tao to Pyongyang who is leading a large prestigious art troupe and his entourage before having a talk with them. Song Tao conveyed warm wishes President Xi Jinping sent to the Supreme Leader. Kim Jong Un expressed thanks for this and gave his regards to Xi Jinping and other Chinese Party and government leaders. He recalled with emotion the cordial hospitality they accorded to him with utmost sincerity reflecting their warm comradely and friendly feelings during his recent unforgettable China tour. Song Tao said that he was especially moved to see the warm feelings and enthusiastic and special hospitality of the Korean Party and government to the Chinese art troupe from the first moment of his arrival in Pyongyang, giving his impression of it. He expressed heartfelt thanks to the Supreme Leader, the WPK and the DPRK government and the Korean people. As it is an art troupe Xi Jinping personally selected and sent with particular care, it is a due obligation for him to take direct charge of its reception and greet it exceptionally well and a natural thing he should do as the host and close friend, the Supreme Leader said. He noted all the related sectors of the Party and the government would be mobilized to provide it with full conditions at the top level as a top priority during its stay in Pyongyang. He hoped that the Chinese art troupe would achieve a great success in their performance tour of Pyongyang and that it would be a good occasion for deepening understanding between the peoples of the two countries and creating a new era of DPRK-China art exchange. They also had an exchange of in-depth views on important matters of mutual concern of the WPK and the CPC and the international situation. Expressing satisfaction with the recent development of relations between the two parties and the two countries, the Supreme Leader said that the ties would be further tightened between the two parties, including the exchange of high-level delegations, and cooperation and visits promoted between various fields and sectors to positively carry forward and boost the traditional DPRK-China friendship onto a new stage of development in line with the requirements of the times. Song Tao said it is the steadfast policy of the Chinese party and government to wonderfully protect, consolidate and develop the Sino-DPRK ties. 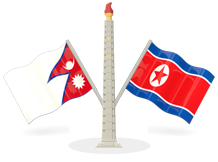 They would promote lasting and stable progress of bilateral relations, provide the peoples of the two countries with happiness and make a fresh contribution to defending peace and stability in the Korean peninsula.